Pascoe “Pete” Patterson, 87, of Cullman, entered into the presence of our Lord and Savior on Monday, August 27, 2018. Pete was born September 25, 1930, to Clarence and Ressie Mae Segers Patterson in Cullman County, Alabama. 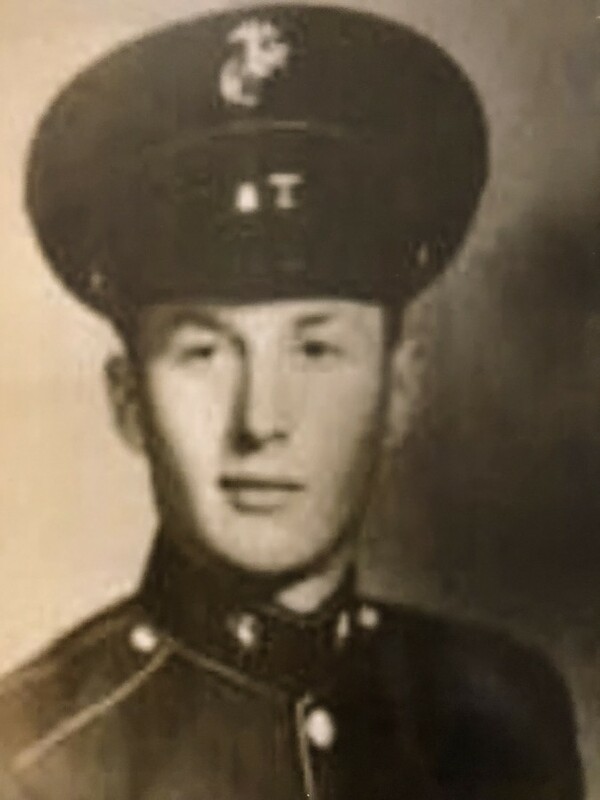 Mr. Patterson entered the United States Marines at the age of nineteen, and served our nation as a Motor Vehicle Dispatcher with the H&S Company 8th Marines 2nd Marine Division FMF. Pete was called into action against enemy forces in South and Central Korea. He was wounded in battle twice, and received a Purple Heart on both occasions. He also received a Korean Service Medal, U.N. Service Medal, and a National Defense Service Medal. Mr. Patterson rose to the rank of Sergeant before returning to the civilian population. Once he returned home, Pete provided for his family as a Coal Mine Supervisor. He was also a member of Pleasant View Baptist Church as well as a member, of over 50 years, in the Masonic Brotherhood. Mr. Patterson was a loving husband, father, grandfather, and great-grandfather. He spoiled and loved each of his babies. He loved fishing and taught them to enjoy fishing also. He also taught them to be proud of their country and to respect those who sacrificed for their freedom. He was their world and they were his. His absence will be felt by many. Mr. Patterson was welcomed into heaven by his parents; an infant daughter; brothers, Clyde Patterson, John “Jabo” Patterson, Josh Patterson; sister, Orene Bynum; brother-in-law, Earl Bynum; sister-in-laws, Diane Patterson and Jean Patterson. He is survived by his wife of 48 years, Gearldine Harris Patterson; daughter, Cecilia Darlene(Tony) Lynch; grandchildren, Staci Bryan, Jami Phillips, Ami Phillips, Athony(Melissa)Lynch, Lacey Lynch; great-grandchildren, Alliyah McGriff, Dalton Bryan, Gavin Phillips, Pyper Shaw, Ashton Shiloh McCluskie, Zaius Byrd; brothers, Roy(Betty)Patterson, Troy Patterson; sisters, Lucille West, Ovie Coffman; and a host of nieces and nephews and many others who loved him. Funeral services will be 2 p.m. Wednesday, August 29, 2018 in the Holly Pond Funeral Home Chapel, Bro. Dennis Wright and Bro. Bruce Harris officiating. Friends may visit with the family from 12 noon until services begin. Burial will follow in Center Point Cemetery. We would like to thank Mr. Patterson for his service to our country. Holly Pond Funeral Home is honored to serve the family of Mr. Patterson.